The greatest thing you''ll ever learn is just to love and be loved in return." You've found someone to travel with on this great journey of life. 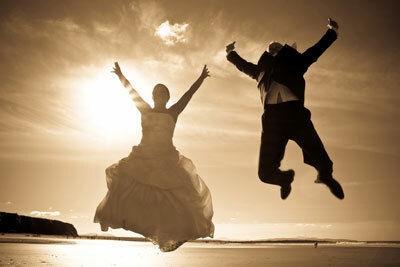 At Intentional Weddings, I specialize in everything related to your ceremony and your transition into being married. Your wedding day is more than just a day - it's a Rite of Passage. With my extensive background as an Officiant and therapist, I understand every facet of this experience. First and foremost, we work together to design a ceremony that is a vivid reflection of your relationship - past, present and future. My ceremonies are created from scratch, and every word is written with you in mind. The unique process I’ve developed to design your ceremony is creative and fun. Besides creating your ceremony, I am a spiritual guide, a cheerleader, and overall calming presence throughout your engagement period and on your wedding day. At the end of our time together, you will experience an extraordinary, personalized ceremony that celebrates who you are and why you’re together. You and your guests will remember it forever and you will enter marriage connected, present, and calm. You have been such a huge part of our wedding planning process. Through our time working with you to plan our ceremony we have grown closer to one another. You helped us to see what the other one sees in us. Thank you for helping make the most important part of our wedding day possible. It would be an honor for me to walk this path with you.